Legionnaires’ disease is a severe, sometimes deadly pneumonia caused by bacteria called Legionella. Reported cases of Legionnaires’ disease have increased significantly since 2000. 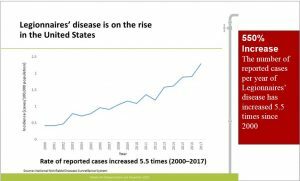 Infections by other clinically significant waterborne pathogens, including but not limited to Pseudomonas, Acinetobacter, Burkholderia, Stenotrophomonas, nontuberculous mycobacteria (NTM) and Fusarium also have increased dramatically. Collectively, Legionella and these other pathogens are called Opportunistic Premise Plumbing Pathogens (OPPPs). Legionella is found throughout the natural aquatic environment, and in most public drinking water supplies, in relatively low concentrations. Under certain operating conditions, building water systems—including cooling towers and plumbing—serve as incubators, promoting growth of Legionella and other OPPPs to dangerously high concentrations. When Legionella-contaminated aerosols are released from a building water system into the environment—for example from showers, cooling towers or decorative fountains—and inhaled by susceptible persons, Legionnaires’ disease may result. 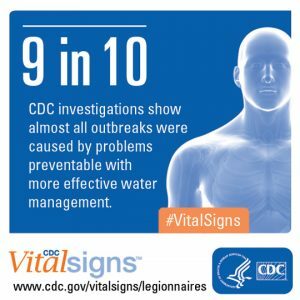 According to the US Centers for Disease Control and Prevention (CDC), Legionnaires disease outbreaks are preventable with effective water management. Recent developments—starting with the publication of ANSI/ASHRAE Standard 188-2015, Legionellosis: Risk Management for Building Water Systems (ASHRAE 188)—have resulted in a new, higher standard of care. Attention has focused primarily on Legionnaires’ disease, the only OPPP infection that must be reported. But other OPPP infections are gaining attention. In June 2017, the US Centers for Medicare and Medicaid issued a memo requiring healthcare facilities to develop policies and procedures that reduce the risk of [disease caused by] Legionella and other opportunistic pathogens in water. ASHRAE 188 is a methodological standard. It provides the framework for developing a water management plan but does not provide the substantive details. 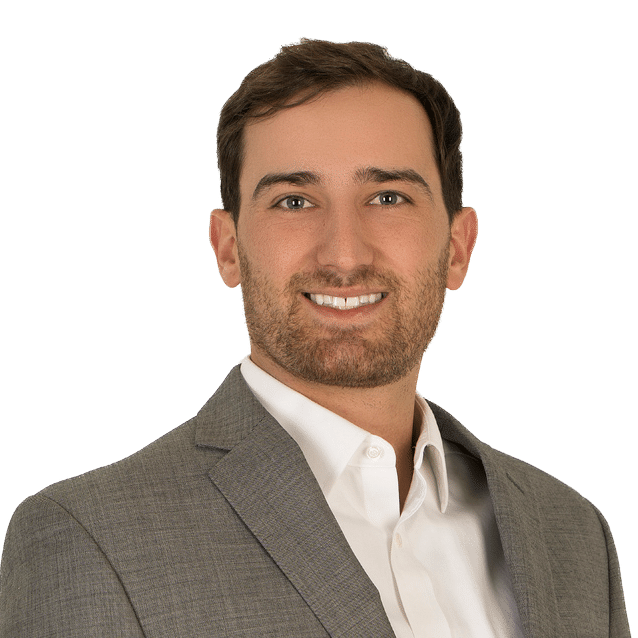 Just meeting the requirements of ASHRAE 188 does not mean a plan will be efficient or effective or that it will comply with fast-evolving regulations and accreditation requirements. The development of a sustainable, effective, regulation-compliant water management plan needs expert guidance. One daunting challenge faced by facilities is choosing the right expert, one with integrity, practical knowledge and a proven track record of success. As the number of reported Legionella infections has increased, so has the number of lawsuits and claims. In reaction to the growing number of claims made asserting liability for illnesses related to exposure to OPPPs and the higher standard of care that must be met to defend against allegations of negligence, many insurers are implementing increasingly stringent underwriting criteria while also limiting coverage. The problems faced by facility owners and managers from facility-associated OPPP disease are amplified by the fact that many of the costs of OPPP claims are now excluded from coverage. This means the facility has to bear the risk of catastrophic, uninsured losses. Implementation of sustainable, regulation-compliant water management plans is effective at mitigating risk of disease caused by Legionella and other opportunistic pathogens in water. However, no matter how effective water management programs are, there will always be residual risk. Insurance policies that provide coverage for response, recovery, defense and indemnity for third-party damages are valuable mechanisms by which to transfer residual risk should any claims arise. An integrated risk management strategy combines control and mitigation of the risk of Legionnaires’ disease and other OPPP infections with comprehensive, affirmative, primary insurance coverage. To learn more about VERTEX’s Building Water Systems Management & Compliance services or to speak with an Environmental Expert, call 888.298.5162 or submit an inquiry.